As we all know a peer’s recommendation for catering companies is the best recommendation of all. To follow is just some of the great feedback we have had from our clients. “I would like to congratulate you and your team on the quality of your catering and service. 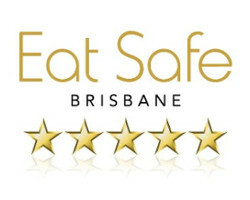 I have been dealing with Ab.Fab catering for approximately 5 years and have always found the quality of the food to be consistent… which is important, I feel, when I’m recommending and ordering on behalf of someone else… I can do it with complete confidence. Whenever I’ve catered for an event, I can honestly say that people go out of their way to comment on the food and ask who was the caterer. For more testimonials, please click here, and to see who some of our happy clients are click here.